for his extraordinary efforts to strengthen international diplomacy and cooperation between peoples. So was Barack Obama awarded the Nobel Peace Prize last week. Cue gasps of glee, plenty of head-scratching surprise, and a profusion of controversy. Because the question on many people’s minds is quite clear: what for? Ignoring the fact that Obama was nominated for the award only days after his inauguration, his term thus far has certainly been one of optimism and change. It would be unfair to dismiss his achievements, and plain wrong to chastise his goals. Amongst others, Obama has been responsible for: moving to close the detention facility at Guantánamo Bay; furthering plans for the US withdrawal from Iraq; easing tension with Russia by abrogating plans for the missile defense shield in Eastern Europe; moving to open talks with pariah states North Korea and Iran; extending a palm leaf to the Islamic world; fostering much-weakened international institutions and supporting diplomatic methods in the Middle East. But is all that enough? Supporters of the decision argue that the award will act as a stimulus and a compulsion for further efforts to strengthening international diplomacy, both on the part of the Obama administration and others. As should be well remembered, the Nobel Peace Prize is awarded not only for congratulating on past achievements, but for encouraging those who have struggled and continue to struggle for a peaceful world. Casting a glance over the list of former recipients, it is easy to spot examples of both, occasionally embodied in the same man. So if not for his past achievements, was Obama at least deserving for his dedication to the cause? Not likely. Or at least, not if one considers the 10 months of Obama’s term to be equivalent to the untiring efforts of the prize’s many other recipients. Are we then to accept that the prize was awarded on the basis that he is better than ‘that other guy’? That he has attempted to set right the failures of his forebear, starting to bridge the rift that had opened between America and much of the rest of the world? It has been pointed out elsewhere, that the prize acts as yet another deliberate snub to the achievements of former president George Bush, following the previous awards to the United Nations and Kofi Annan, the International Atomic Energy Agency and Mohamed ElBaradei, and of course the Intergovernmental Panel on Climate Change and Al Gore. Yet the award of the prize also stands as a rather greater insult to former President Bill Clinton, whose efforts both during his presidency, in Northern Ireland and the Middle East, as well as work in the interim, such as his recent achievement in North Korea, have been overlooked. That would also be to say nothing of the many other candidates, whose nominations to the 2009 Peace Prize will not officially be revealed for 50 years. to the person who shall have done the most or the best work for fraternity between nations, for the abolition or reduction of standing armies and for the holding and promotion of peace congresses. 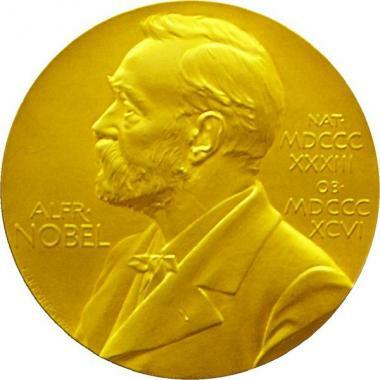 In my opinion, the Norwegian Nobel committee made a terrible error of judgement in awarding Barack Obama the Peace Prize. Not because he has achieved too little, or campaigned for too short a time, although both of these factors contribute to the issue. The problem is that the award appears to have been lauded upon an idealist and a demagogue, for his policies of reconciliation, not his achievements for peace, and perhaps most of all, because one day, Obama would actually have been worthy.